This review by Felicia R. Lee appeared in The New York Times. Coming out on Tuesday from Basic Civitas Publishers, Mr. Joseph’s book, 10 years in the making, is being billed as the first definitive biography of its subject, who later changed his name to Kwame Ture. In addition to interviews and exhaustive research in archives around the world, Mr. Joseph, a professor of history at Tufts and the founding director of itsCenter for the Study of Race and Democracy, had access to almost 20,000 previously unreleased pages of F.B.I. files on Ture. And it’s a life full of choices — like moving to Africa — that many Americans might debate. A native of Trinidad who grew up in the Bronx and attended the Bronx High School of Science, Ture spent most of the last 30 years of his life in Guinea, in West Africa, trying to fashion a revolutionary Pan-African movement. He died in Guinea in 1998 at 57. His political life tracked the divergent paths of the modern black political struggle in the United States: He worked with mainstream civil rights activists like Dr. King; and helped start the Black Panther Party. He became increasingly radicalized and finally declared that the highest political expression of black power was Pan-Africanism. Some scholars and activists believe that the book will invite debate about Ture’s actions and legacy. Some of that debate, they said, will turn on how Mr. Joseph interprets the factors that led Ture to leave the country in 1969. It was a dramatic time: The Black Panthers were engaged in a violent struggle, Dr. King had just been assassinated in Memphis (in 1968), and Ture was being harassed by the F.B.I. Ture’s name change, the biography notes, reflects his admiration for the Guinean president Sékou Touré and Kwame Nkrumah, the first president of Ghana. But in embracing them and leaving for Africa, did he leave black Americans behind? Clayborne Carson, the director of the Martin Luther King Jr. Research and Education Institute at Stanford, who knew Ture and has read excerpts from Mr. Joseph’s book, said he believed Mr. Joseph’s assessment could prompt such questions. But Mr. Thelwell, who completed Ture’s autobiography “Ready for Revolution: The Life and Struggles of Stokely Carmichael (Kwame Ture)” (2003), said he was relieved by his quick impression of Mr. Joseph’s book. Mr. Joseph said he set out to paint an evenhanded portrait. His book presents Ture as charismatic, at once intellectual and folksy, funny and angry, glamorous and defiant. He married the South African singer Miriam Makeba (introduced to him by Harry Belafonte), pushed his friend Dr. King to denounce the Vietnam War, worked with the voting rights activist Fannie Lou Hamer and hung out with the social activist Tom Hayden. His womanizing is noted in the book, as is Makeba’s affair with Sékou Touré. The couple later divorced. One of the reasons Ture left the United States, the book suggests, was because of relentless hounding by the government. One F.B.I. memo Mr. Joseph cites calls for a “whispering campaign” with overtones that Ture was being rewarded by the American government for his efforts, rewards that allowed him to buy a mansion, avoid military service and enjoy a regal life with women. The government explored deporting him or trying him for treason for his antiwar chants and spread a rumor that he worked for the C.I.A. In an interview, Mr. Joseph said that if Ture has received less attention than some other civil rights leaders, it was largely because he went to Africa and was not martyred like Dr. King and Malcolm X, both killed at 39. And in the sound-bite landscape, Mr. Joseph said, the complexity of Ture “makes him a difficult subject,” one that he relished introducing to a new generation. Many of Ture’s larger-than-life contemporaries are still alive and still outspoken. They are protective of a man whose views were often misunderstood or distorted in an effort to neutralize him and the movement, they said. 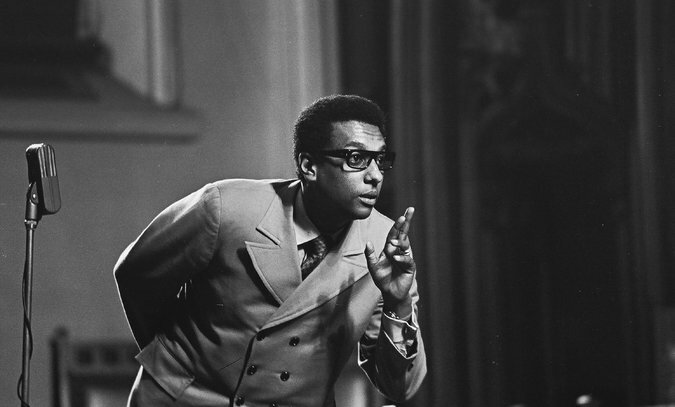 “Stokely was one of the most brilliant, captivating, decent, committed leaders of our generation of the ’60s,” Kathleen Neal Cleaver, the former Black Panther activist, said in an interview. Ms. Cleaver, who teaches legal history at Emory University and at Yale, lived in Algeria for a time with her husband, the Black Panther leader Eldridge Cleaver, who fled the United States to avoid charges of attempted murder. (They later divorced; he died in 1998.) She described the appeal of Africa for black activists as strong but problematic.